A gold hexagon shelving unit with mirror. 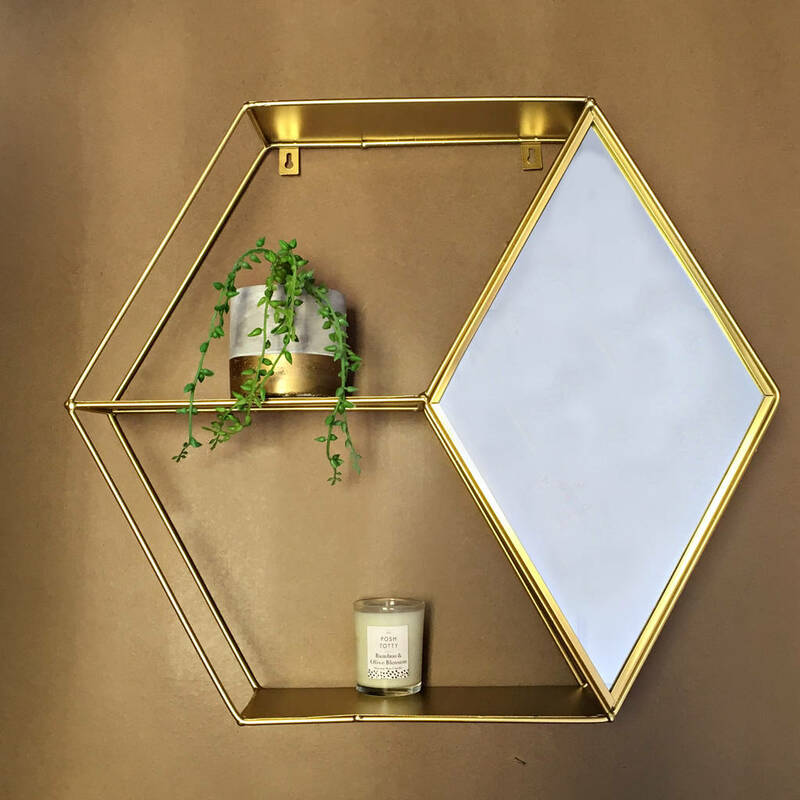 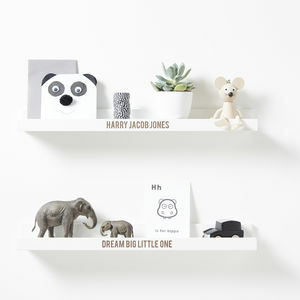 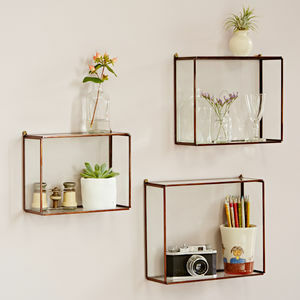 This stylish gold hexagon shelving unit would make a striking piece in any home. 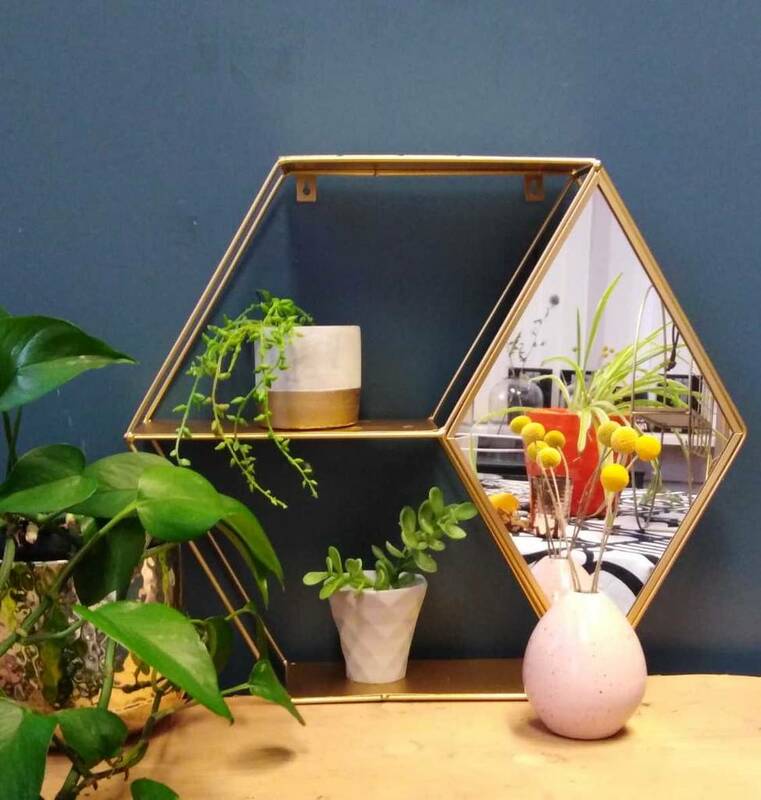 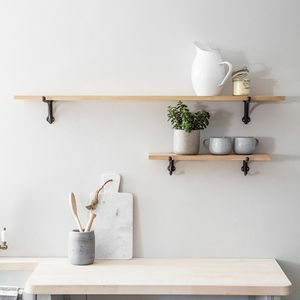 The perfect addition to your living space, ideal for holding small ornamental pieces and plants as well as having the useful addition of a mirror. 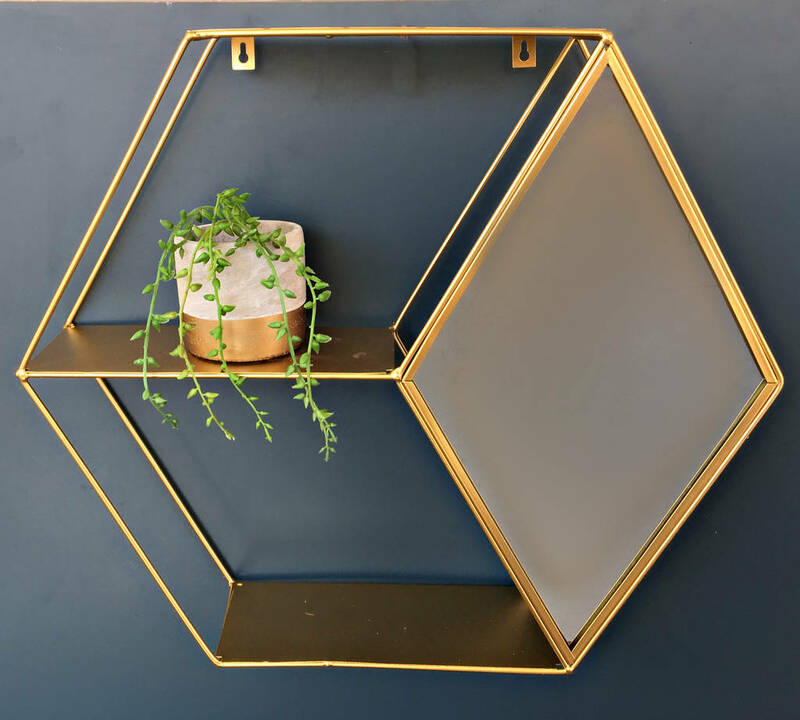 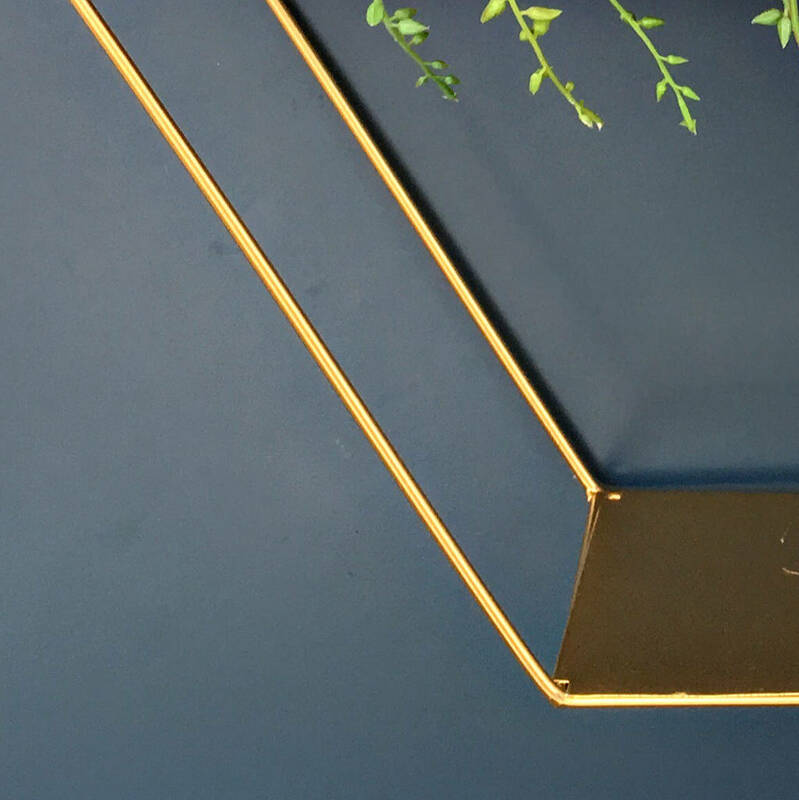 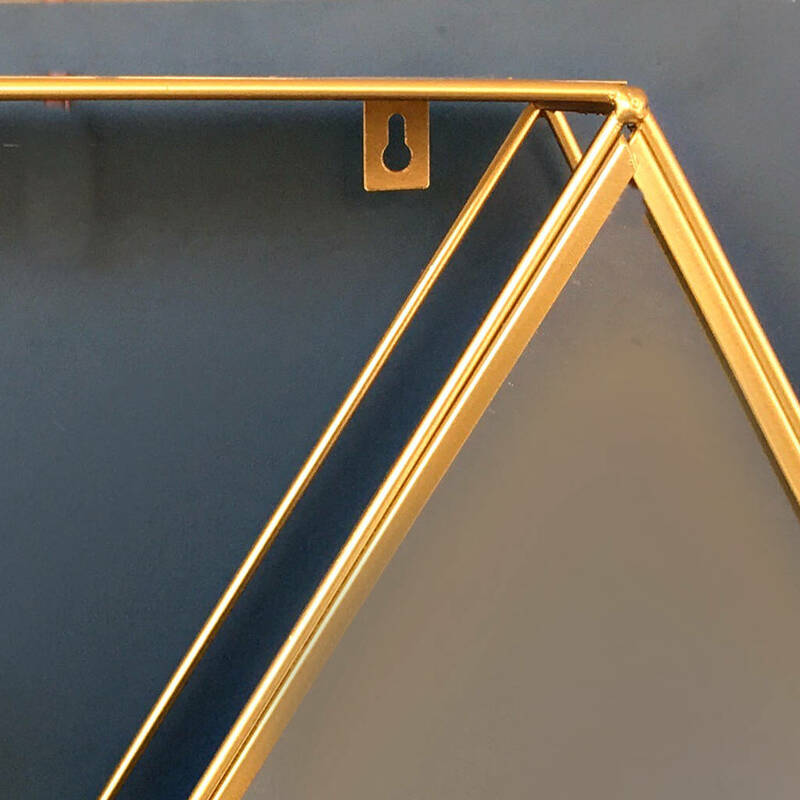 The hexagon shape is in keeping with the ongoing geometric trend and the stunning gold colour is sure to make it a feature piece. 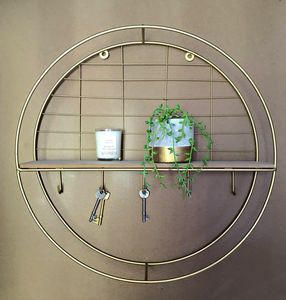 Would look great in tha hallway, living room or the bedroom.